Join the Wake Forest University School of Business in Raleigh, NC for an informal gathering to learn about the top ranked Specialized Masters Programs. The Wake Forest School of Business is consistently ranked among the nation’s top business schools for offering the most innovative programs in graduate business education. 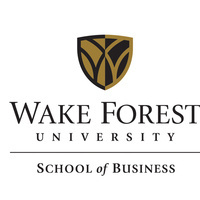 Wake Forest School of Business programs are designed specifically for recent graduates, or those with limited work experience, seeking to excel personally and professionally in today's marketplace. Our MS in Business Analytics, MS in Accountancy and Master in Management programs build on the skills and knowledge gained in your undergraduate studies and prepare you for a broad range of careers. You'll build a foundation in finance, marketing, operations, business analytics, accounting, economics, information technology, ethics, organizational behavior, and leadership. Registration is required.